Zambia is a huge country that is divided into North and South. The best time to visit Zambia is between July and November. In Southern Zambia we can visit North and South Kafue National Park with it’s swampland known as the Busanka Plains. This swamp area is inaccessible between November and July. The park has a wonderful variety of wildlife and is one of our favourite destinations. 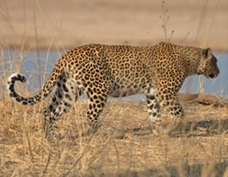 South Luangwa National Park and the Lower Zambezi National Parks are found in Central Zambia and are linked by scheduled air services. Both these parks have a great variety of wildlife ranging from large herds of elephant and buffalo to the smallest antelopes. Northern Zambia has some unique areas including the Kasanka National Park where one can observe the largest migration of fruit eating bats to be found anywhere in the world. North of Kasanka is found the Bengweulu Swamps which hosts huge herds of black lechwe and tsessebe, this wetland is also home to the very rare and unique Shoe billed Stork and an incredible array of birdlife. North Luangwa National park boasts huge herds of buffalo and large prides of lion which can be found in this seldom visited game area. 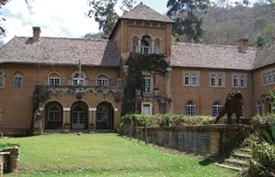 A visit to the famous “Africa House “; a palatial, old English manor House, built in the 1920’s in a remote wilderness area in Northern Zambia is something not to be missed. We recommend that you visit North and South on separate safaris, as there is so much to see in these areas and it would be a pity to rush through Zambia in one visit. If you are interested in coming on safari with us, we would greatly appreciate you completing our online safari enquiry form, allowing us to respond to you with more specific information and suggestions.